Take control with Messy Dog™ Stain & Odor Remover and use the power of biologicals to clean up soiled areas. 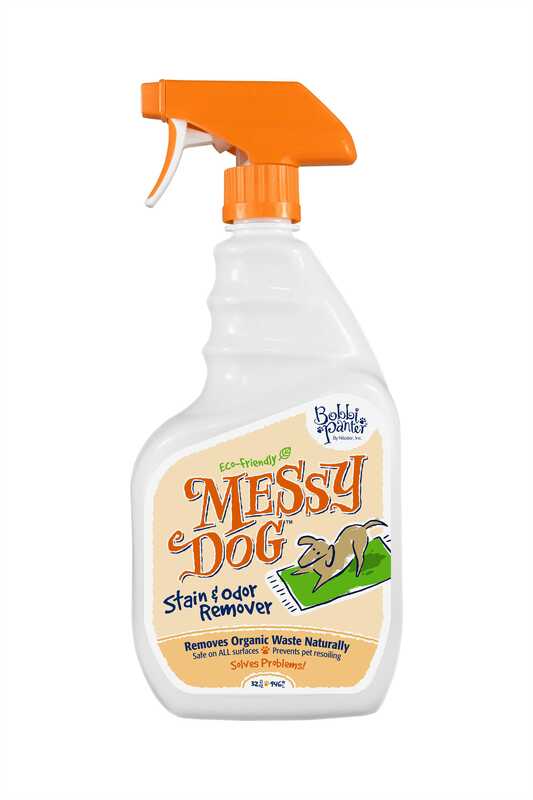 Messy Dog will break down organic stains and odors with naturally produced enzymes to clean up tough messes. Choose to be KIND to the earth, but TOUGH on stains. Children, Pet, and Earth Friendly. Applications: Safe on all surfaces. Prevents Pet Resoiling.